“Hey, I’ve got an idea!” So you’re hiking out in the middle of the woods. Maybe mountain climbing in the Himalayas with a Sherpa. Or you’re on the tour bus at 3 am and can’t sleep. And then…BOOM, an idea hits you. You stop everything, grab your guitar and your mic, plug them into your iRig Pro Duo, and then you plug it into your iPad. Or your Android. Or your computer. You hit “Record,” and that idea that was once just floating around in your head is a song that you can upload for all your fans and followers to hear. 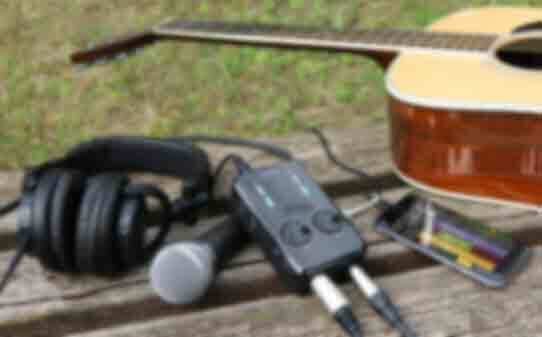 iRig Pro Duo is made for this. It’s made for you. Now you can truly go out and play and record anywhere, any time on any device with the smallest fully-featured dual-channel interface on the market. To us, “truly mobile” means completely self contained… unhooked from the grid and free to create anytime and anywhere inspiration strikes you on any device. iRig Pro Duo delivers true mobility in grand fashion. It packs a ton of useful recording features into an extremely compact enclosure that you can take with you anywhere. 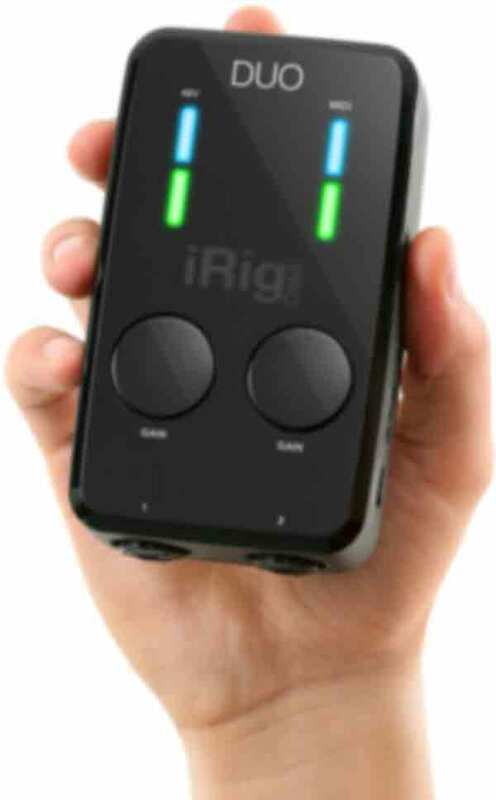 First, it lets you go off the grid and record great audio anywhere thanks to its comprehensive powering options — for true mobility iRig Pro Duo can be powered with two AA batteries and does not draw any power from a connected iPhone or iPad. When using the included USB or Micro USB to OTG cable connected to a laptop or Android device, iRig Pro Duo can be powered by the attached device or onboard batteries. Back in the studio? 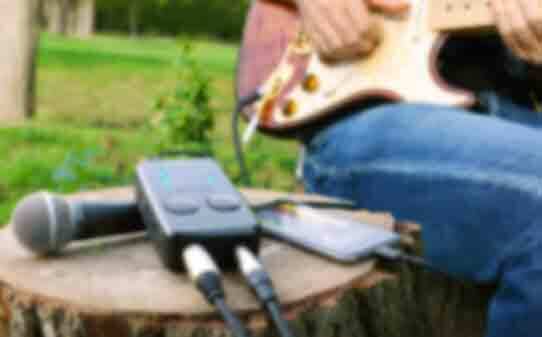 iRig Pro Duo can be powered with an additional DC power supply for powering extended recording sessions. Second, it has to sound great and accept every possible instrument and recording situation. iRig Pro Duo delivers high-quality 24-bit audio on the go or in the studio with plug-and-play simplicity. It features 2 channels with XLR/TRS combo audio jacks and phantom power that can accommodate everything from high-end condenser microphones to guitars, basses, keyboards and more. 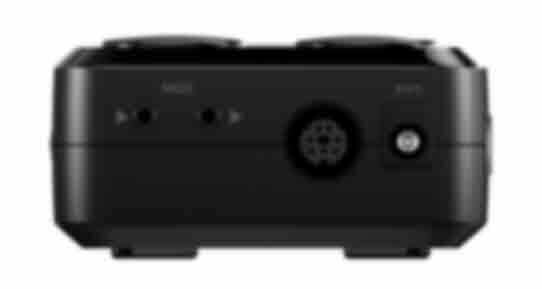 Its crystal-clear ultra-low noise high-headroom preamps ensure that you get professional grade sound everywhere you go. Fully universal “all-platform” portable recording is finally here thanks to iRig Pro Duo. It comes with every cable you need to connect to your iPhone, iPad, Android device or Mac/PC —you get a Lightning, USB-OTG and USB cables so no matter where you are or what device you happen to have with you, capturing brilliance is always enabled. If you want to connect to an older iOS device, all you have to do is pick up an optional 30-pin cable. And, iRig Pro Duo comes bundled with over $/€450 worth of software and apps for every platform to get you going. Dig into what iRig Pro Duo offers and you’ll quickly realize that everything you use in your studio is now in the palm of you hand. iRig Pro Duo is the smallest full-featured dual-channel interface on the market. Its elegantly designed lightweight thermoplastic housing is designed to take the rigors of life on the road, session after session. We’ve designed it so that it’s the perfect size — it fits easily into the palm of you hand and can fit in any backpack, gig bag or even your pocket. But don’t take iRig Pro Duo’s size for granted. This is one seriously powerful and connectible interface. It features 2 channels with XLR/TRS combo audio jacks and phantom power that can accommodate everything from high-end phantom powered condenser microphones to guitars, basses, keyboards and more. Each channel has it’s own input gain control so you can dial in the perfect amount of input signal for your recording. Each of iRig Pro Duo’s two channels passes through an ultra-low noise high-headroom pro-quality preamp that then runs through a 24bit AD-DA converter, giving you amazing clarity and pristine studio-quality sound. With iRig Pro Duo, you don’t just have a superb portable interface for audio; you can also hook up your favorite MIDI controllers. This is thanks to its included TRS to MIDI-DIN cables and dedicated MIDI in/out jacks, so you can control MIDI-compatible software (or send MIDI data to MIDI-compatible hardware, like synthesizers, drum machines and samplers) with plug and play simplicity. It just works. 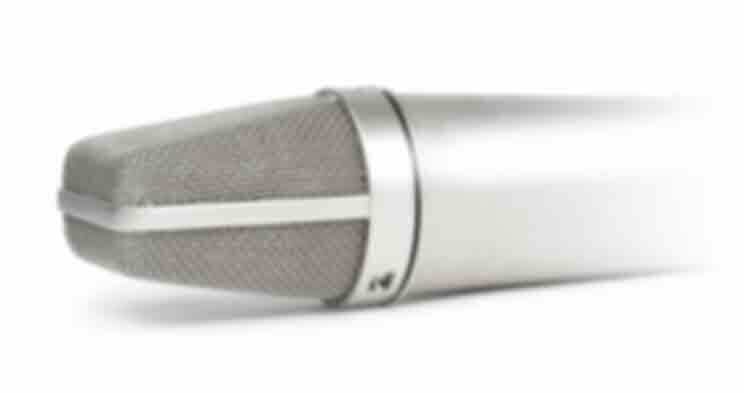 High-quality studio condenser microphones require 48V of external power to function. It's part of what makes them sound so good, crisp and accurate. 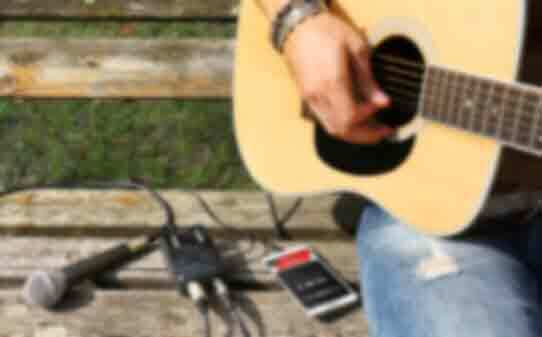 With iRig Pro Duo, you’ll have that 48V of phantom power at your fingertips. Just plug in your high-quality condenser mic, flip iRig Pro Duo’s phantom power switch and record until your heart's content. Monitoring your mixes and input is a breeze. iRig Pro Duo comes with two 1/4” TRS balanced analog audio outputs that let you send a zero-latency signal to your studio monitors or portable speakers. These outputs deliver a stunningly clear audio signal thanks to iRig Pro Duo's exceptional output drivers. The totally floating design of iRig Pro Duo’s balanced outputs protect it from potential ground loop issues and buzz when performing onstage with iOS devices or laptops. This superior design makes it an ideal audio interface for when you want to perform live and connect your gear directly to the stage audio system without having to use any special cables or problematic DI Boxes. There’s also a Direct Monitor switch that lets you monitor either the direct incoming dry signals, or the processed signal returning from your device or computer. If you want to use your favorite set of analog headphones to monitor your playing and recording in real time, iRig Pro Duo has you covered. iRig Pro Duo features an integrated 3.5mm headphone output jack with a superior high-quality headphone preamp and level control, so you’ll never miss a beat — perfect for use with the iPhone 7. There’s nothing worse than getting lost in the creative groove and running out of juice. With iRig Pro Duo, you’ll have three options for power. 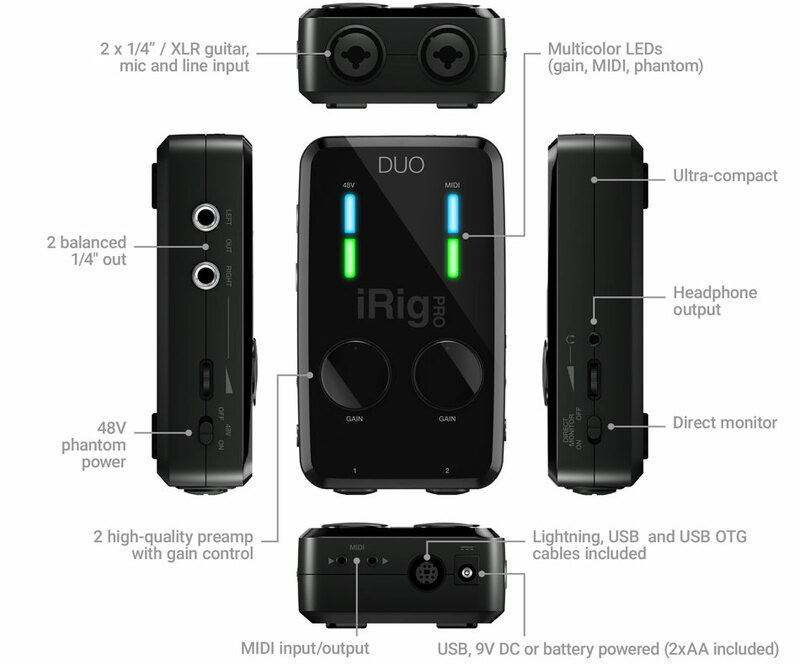 First, iRig Pro Duo can be powered with 2 AA batteries when connected to an iPhone or iPad. Second, plug in the USB or Micro USB to OTG cables and iRig Pro Duo will be powered by the connected computer or Android device, or the AA batteries. Camped out in the studio? Plug it into the wall with a DC power adapter (not included) for extended recording sessions. Now you can record with confidence knowing full well that your interface is in it for the long haul with you. 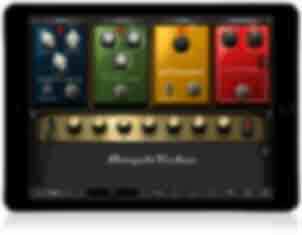 AmpliTube FREE, the ultimate guitar and bass tone studio for iPhone/iPad. You get 4 extra pieces of free gear just for registering your iRig Pro Duo: The Metal W and Metal 150 amps and the Wharmonator and X-Flanger stomp pedals. 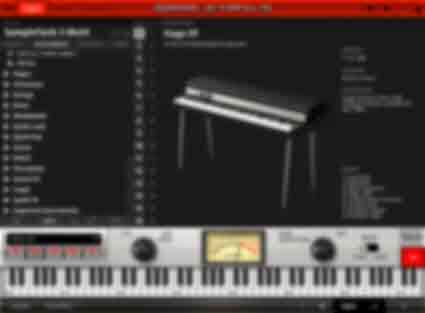 VocaLive FREE, the professional vocal processor for practice, performance and recording. It comes with 2 effects and a single-track recorder, and it can be expanded to up to 12 effects and up to 4-tracks (or 8-tracks in the case of VocaLive FREE for iPad). iRig Recorder FREE, the powerful and easy to use field recording app that lets you capture, edit and share great sounding audio anytime and anywhere. 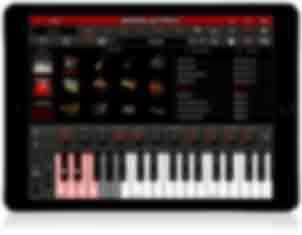 SampleTank FREE, the ultimate virtual instrument and sound workstation for the mobile musician. 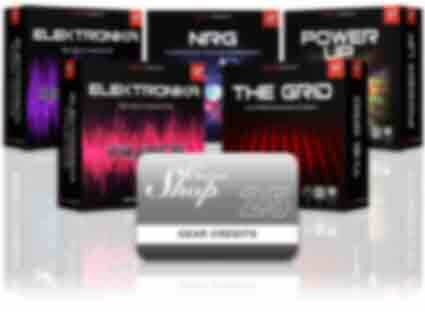 It features an expandable collection of instruments and effects and a base library of 68 sounds. 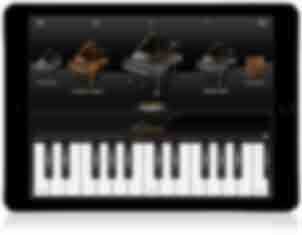 iGrand Piano FREE, a high-end piano instrument with 3 world-class, multi-velocity stereo grand and upright pianos (1 included, 1 after registering iRig Pro Duo and 1 after registering iGrand Piano FREE). 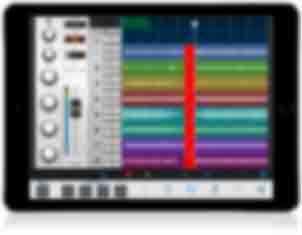 On the Mac/PC side, you also get fully expandable versions of AmpliTube Metal with Custom Shop, T-RackS Classic mixing and mastering suite (comes with 4 processors), SampleTank 3 SE Mac/PC sample workstation with 6.5 GB of samples in every instruments category with Custom Shop feature, 6 Free virtual instrument collections for SampleTank 3: The Grid plus 5 instrument collections from Beats and Elektronika series, plus 25 free Gear Credits to use in the Custom Shop.